The thing I remember most about the west coast of Portland is an arch. It was fashioned from blocks the size of people, as if giants had been playing with Lego bricks. Although most were placed in exact positions, there were a few stones that appeared to have been dropped in almost haphazardly. This gave the impression that the arch was safe to walk through, but that something might just dislodge and flatten you in the process. Having made a small detour through the quarry we got back to the coast. And then, all of a sudden, the ground began to fall away from us and we were starting our descent back to Chesil Beach, its long and beckoning arm stretching away into the distance. 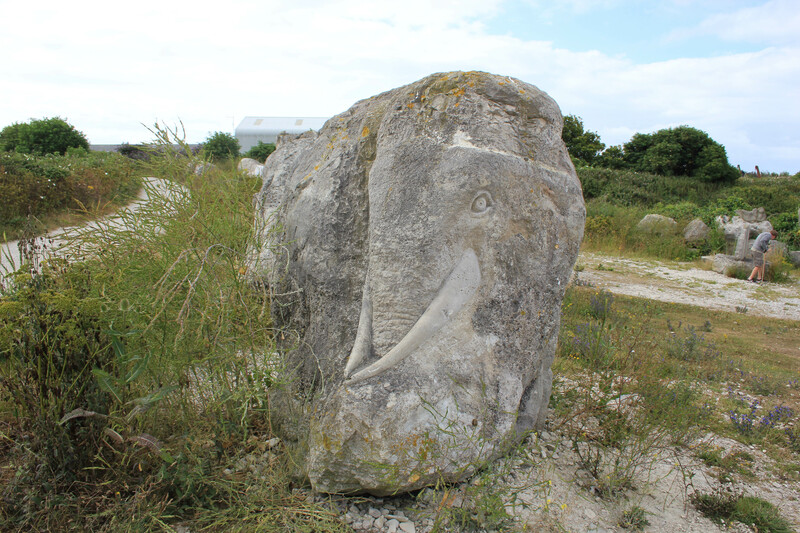 Chesil Beach is a natural tombolo, the exact origin of which is disputed to this day. It is 18 miles long, running from Portland in the south to West Bay in the north. It is a pebble beach; its pebbles are fist-sized at Portland and gradually get smaller and smaller, ending up pea-sized at West Bay. 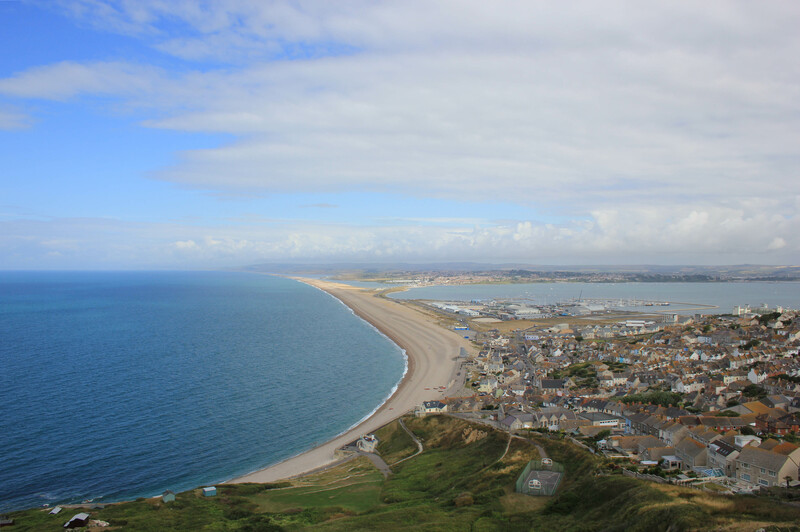 It is said that if a local fisherman landed on Chesil Beach in thick fog then he could tell you exactly where he was just by looking at the size of the pebbles! 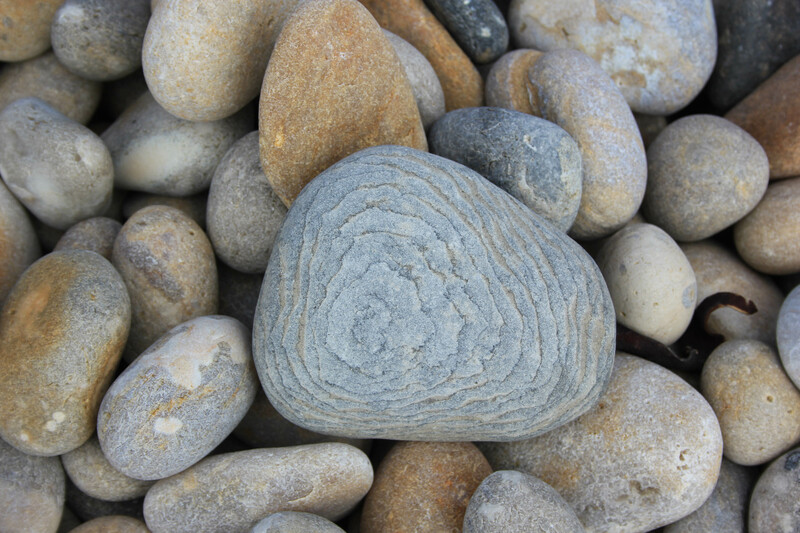 As the pebbles were at their largest at this end of Chesil Beach, they made for easy walking. The further north you go, however, the smaller the pebbles become and the tougher the walking becomes. Even walking to the car park a mile and a half in we noticed that the walking became slightly more difficult. Although I would like to walk the entire stretch of Chesil Beach one day, it was the wrong time of year for us today. Parts of it are both firing range and nature reserve (a strange combination when you think about it) and the entirety of the beach is only accessible at certain times of the year. We were at the end of our walk today, and by the time we would be back we wouldn’t be able to walk the entire length. The inland route, which runs broadly parallel, would be our only option at the start of our next walk. 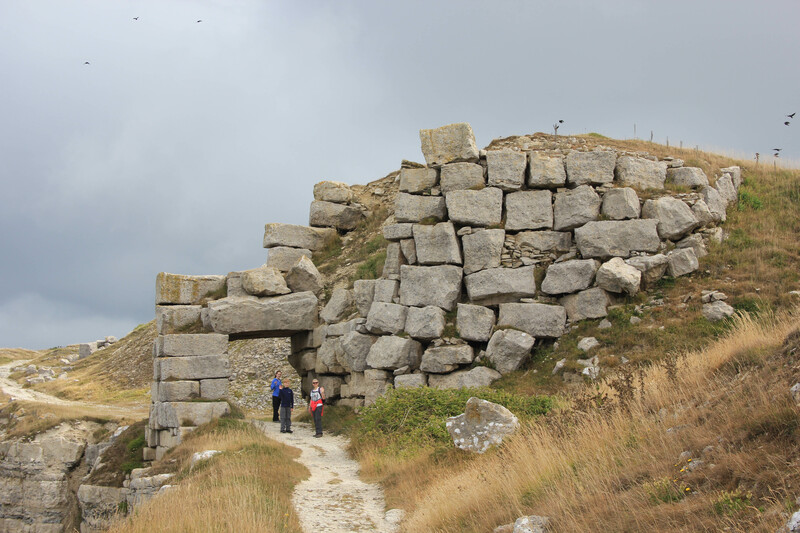 This entry was posted in Dorset and tagged Chesil Beach, coast, Dorset, portland, sculpture, travel, walking. Bookmark the permalink. I did walk all along Chesil Beach. But it is hard work! I remember your post JC! But you did it and that only wanted me to do it even more! 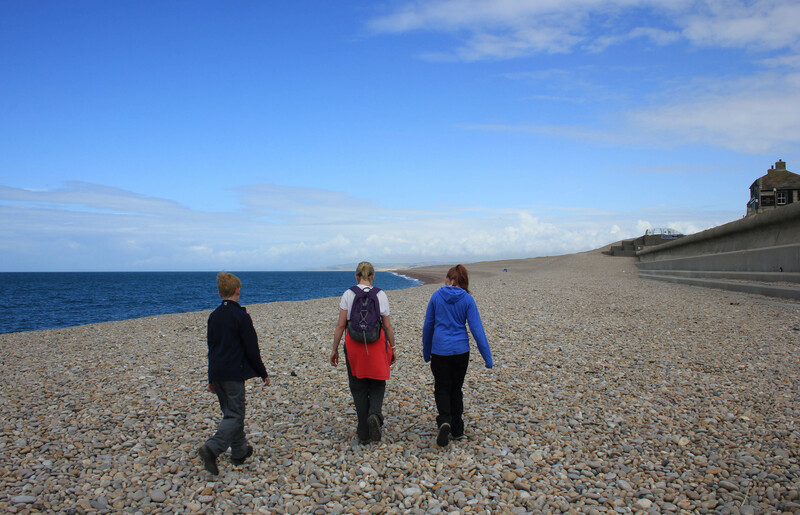 Whereas I absolutely did not walk along Chesil Beach; I loathe shingle with a vengeance! Loved the stone arch though. That’s where stones belong—in arches—not loose underfoot.